Inkwell Inspirations welcomes guest blogger and author Roseanna M. White. Roseanna is the author of several historical novels, including A Soft Breath of Wind, and the exciting historical Culper Ring Series. I admit it. Readily. I have occasionally had issue with the Santa question. I have friends who never introduced the concept, and part of me always wished I had put my foot down on it too. Because I never really introduced it. I just let it creep in. Whenever my kids would ask, I would say, "Well, what do you think?" And I was about to pull the plug. Then . . . then I looked it up. I looked up the true history of St. Nicholas, and how he became Santa Claus. And you know what I discovered? That of all the many Christmas gift-giving traditions, this is actually the only one I feel has its roots in the right place. Even as a boy, he was known as the wonder-worker. He healed people of things like withered hands and illnesses with simple prayers. He calmed storms. He worked miracles. And he's still hugely remembered for those things in Europe, where you'll be hard pressed to find a town without a church dedicated to St. Nicholas. But do you know what else he's remembered for? See, he had all this money . . . but a heart for the Lord. So what did he do? Well, whenever he saw the needs of someone in his community, he quietly met them. He threw gold through windows. Down chimneys . . . and on occasion, it's reported that some of this gold landed in a stocking left to dry over the banked fire. Sound familiar? For hundreds of years, Christmas stockings always had gold--or a golden fruit, like an orange--in the bottom, to recall this story. But the beauty of the thing is that Nicholas never claimed to be the gift-giver. More, when someone caught him at it, he would beg them not to disclose the secret, not so long as he lived. Because Christ charged us to give in secret. After his death on December 6th, however, the stories came out. Story upon story about the generosity and gift-giving of Nicholas, who was soon named a saint and whose feast day was established as December 6th. So a new tradition was born. Whenever an anonymous gift was given, and especially on his feast day, it was said to be given in the name of St. Nick. Anonymously--because that's what Christ charged us to do. Isn't that actually what gift-giving should be about?? Not the glory of saying, "Look, I bought you something you'll love!" but the knowledge that we're bringing joy to someone--better still, meeting the need of someone--without expecting anything in return. Even the joy of seeing their faces when they open it. That is true giving. And that's what St. Nicholas represents. So how did St. Nicholas become Santa Claus? Well, because of the proximity of St. Nicholas's feast day to Christmas, the two holidays eventually merged. But not right away. For hundreds of years, the gifts were given on December 6, and December 25 was reserved as a day of worshiping the Christ Child. So you see what happened? In effort to change a tradition, all we succeeded in doing was losing its meaning. 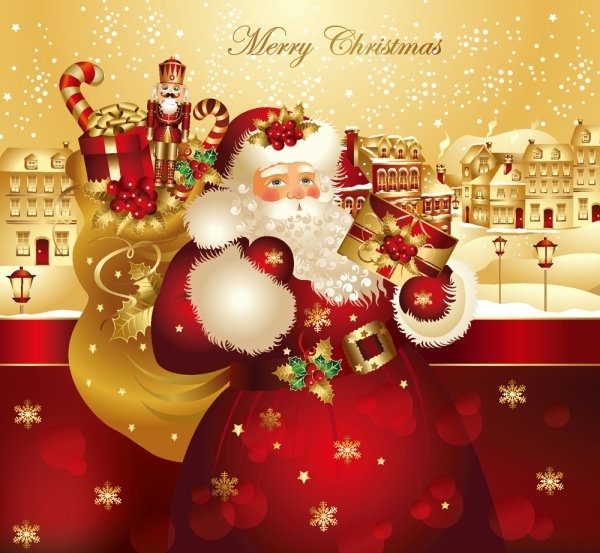 Santa became a symbol of greed to many, when that's the last thing he ever was in reality. He became a symbol of Christmas-when-you-take-Christ-out-of-it, when his life was dedicated to putting Christ in everything. Well, I'm not going to lie to my kids. Instead, I'm going to teach them who St. Nicholas was. More, why he did the things he did. And I'm going to hammer home that the beauty of the thing is the anonymity. Who leaves those presents? Well, that's for you and your faith and your logic to decide. But the most important thing as a receiver of said gifts is knowing they're given from love--not just the love of a friend or the love of a parent or the love of any other family. These gifts represent the love of God. The love of Christ. Embodied by the anonymous generosity of man...a man like St. Nick. I'm not going to lie to my kids. I'm going to explain that St. Nick is a real person, who did indeed appear miraculously to many people. That's it's not about magic...it's about miracles. That believing God can do the impossible is part of faith. And that another part is being His hands and feet. Being His vehicle. Being St. Nick. Not just on Christmas--in fact, we're going to try to get away from making the day set aside for Christ being Present Day. But we're going to give gifts. We're just going to change up how we do it. My challenge to you this year is to start taking yourself out of gift-giving. Start signing gifts "Anonymous"--or, as the case may be, "St. Nicholas." Start leaving them for people to find and never know they're from you. Let's start giving for the right reasons. And let's give some credit to the memory of a man who always, always did. Santa isn't a symptom of the evils of a commercialized nation--we are. Our attitudes are. Santa, if you dig back to the history, is the memory of a man who knew how to do things right. And I bet if Nicholas of Myra could see how his image has been changed over the years, and even hated by some Christians, he would weep. Because all he ever wanted to do was show Christ's love to his flock. He would want us, just like I firmly believe God does, to get back to the roots of that. Will this be hard? Absolutely. Why? Because of expectation. Because we'll feel cheap if we show up without something in hand and don't reveal we've already given something. But that's a symptom of the problem, isn't it? 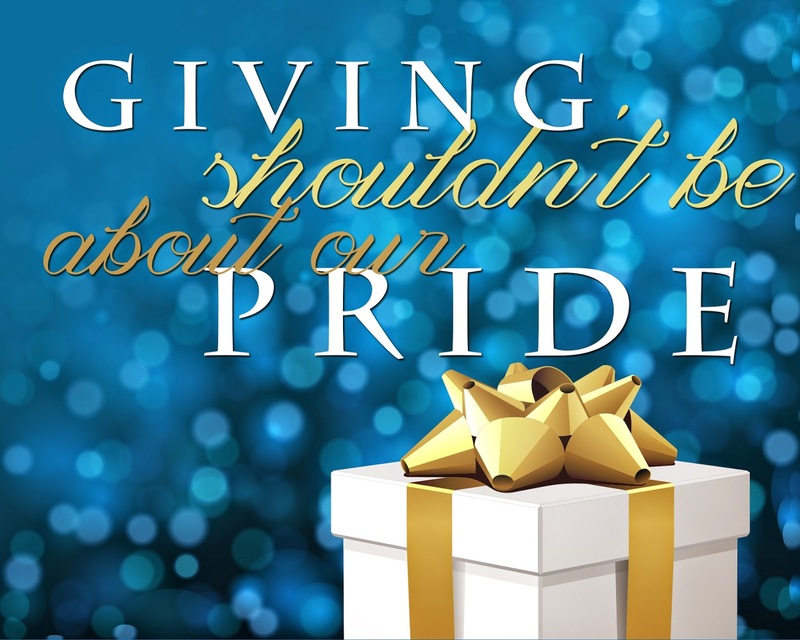 Giving shouldn't be about our pride. Giving should be about Him. If we're giving in our own name...well, then who's the gift about? Makes you think, doesn't it? Or at least, it made me think. Because giving gifts has always been, to me, about (a) the recipient and (b) my joy in giving it. Not really about God at all. And you know, maybe that's fine on a birthday. But on Jesus's? I don't think it is. I really don't. And so I'm going to accept the challenge to myself. I'm going to figure out how to glorify the Lord and honor Christ on His day--on every day. And I'm never going to sell St. Nicholas short again. Because he understood all his life what it's taken me a lot of years to figure out. Roseanna, that's the explanation I used with oldest son (now 19) when he started asking questions about Santa Claus. Instead of saying, "Oh, it's a little joke grownups play on kids." I told him about St. Nicholas and his anonymous gifts. Our youngest is 7, so this is probably the last year for Santa Claus :( Thanks for the primer, so I'm prepared with another St. Nicholas explanation. Oh, and I think priests could marry at that time, so there _could_ have been a Mrs. Claus. Isn't it great to learn that sort of thing?? He was an amazing man! This is basically what I did with my children, but we never went into such depth, and I didn't know about his miracles or healings. That's really cool. I'll have to share this at our family Christmas this year. Thanks! Of course. =) I loved being able to stress to my kids that, yes, miracles happen. But that's what they are--miracles, not magic. That's the real Santa. I'm planning on sharing it with my son, too, even though he's grown up and moved away. I think he will take great delight in this. Wonderful post, Roseanna. Nicholas was such an inspirational man. As I recall, he paid the dowries of poor sisters to keep them from an unsavory life--but I'm not sure if that's legend or fact. Nevertheless, it seems like just the sort of thing he'd do, and that Christ would have us do: see a need and step in to meet it. I'm so glad you are here today! Yep, that's the gold-tossed-down-chimney story! Love it. =) Fact or legend...well, who knows, LOL. Wonderful, Roseanna. Thank you for another of your great history lessons. One can't be around me (even online) without getting them, LOL. Thanks for stopping by, Normandie! So interesting, and a fun read! I'd heard off and on for years about Saint Nicholas, but never studied it in depth. As always, history is so fascinating. Thanks for a great post. I hadn't either, and I'm not sure why I didn't stop to look up the actual history long ago! Wish I had! Awesome post, Roseanna! Thank you for sharing this! I'm passing it on to my daughter and SIL, who have been wondering how they would handle the "Santa issue" in their household. Hopefully it helps them decide what to do. =) I really think we're forgetting something vital if we just go "no Santa" and don't tell the story of this amazing wonder-worker...but we've just to make sure we get it right. Not magic. Miracles. We normally put our names on the gifts, but we have an equal amount from Santa where the recipient's thank you includes everyone in the room. It's nice.